We don’t do many desserts but we do love Rhubarb which is in all the shops for spring. This is easy to make and nice and light. Heat oven to 190C/fan 170C/gas 5. Warm the orange juice in a pan and dissolve the sugar in it. Cut the rhubarb into thumb-length segments and cook in the orange juice with the zest, cardamom and star anise for 8-10 minutes, then cool. To make a syrup, lift out the rhubarb pieces and boil up the juice until it thickens. To make the syllabub, put the cream, lemon zest and juice, alcohol and sugar into a bowl and beat for a few minutes until the mixture becomes thick and light. Remove the cardamom pods and star anise from the syrup. 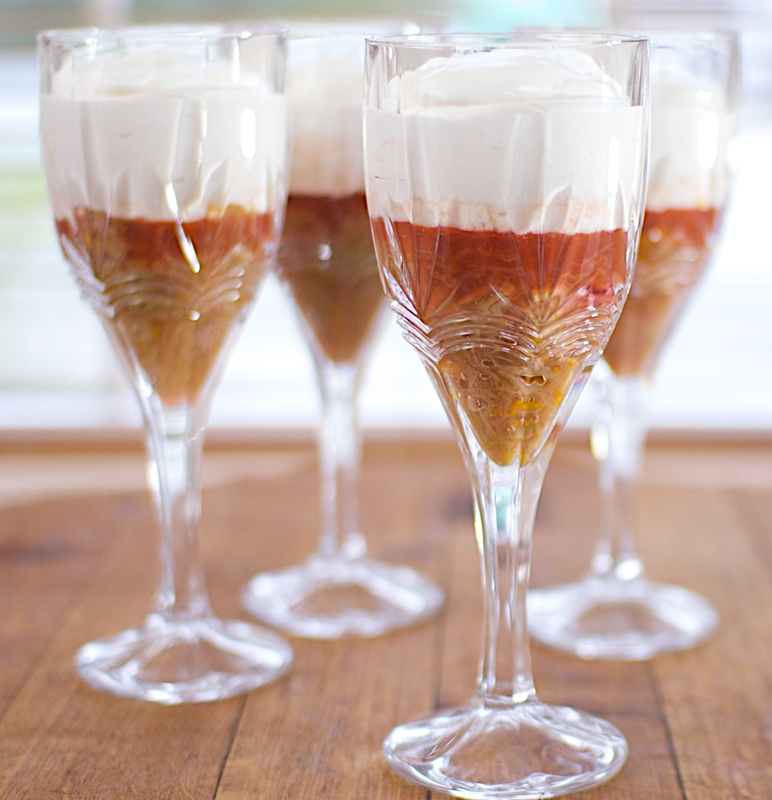 Put the rhubarb into individual glasses, spoon over some of the syrup, then the syllabub mixture over the top and chill for a few hours before serving.